Human rights lawyer, Mr. Femi Falana (SAN), on Sunday asked the Accountant-General of the Federation to ensure that federal legislators were made to refund the money collected for the number of days they failed to sit in the National Assembly. He said due to incessant recesses embarked on in the last legislative year which ended June 9, 2016, the Senate only sat for 96 days while the House of Representatives 104 days out of 181 days which the Constitution stipulates as mandatory for the two chambers of the National Assembly to sit in the period. Falana said this in his public lecture which he delivered at the investiture of Dele Ojogbede as the President of Rotary Club, Ikoyi, Lagos. 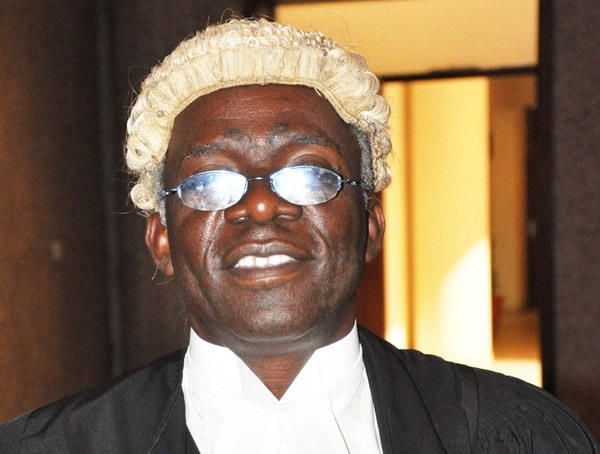 Falana said some Senators such as the Senate President, Bukola Saraki, who are undergoing criminal trial, did not sit up 70 days in the last legislative year. The lawyer argued that since the labour policy of ‘no work no pay’ was applicable to all public officers, the federal legislators ought not to have been paid for the period they failed to perform their duties. He said, “Whereas section 63 of the Constitution provides that the Senate and the House of Representatives shall each sit for not less than 181 days in a year section 68 thereof states that any legislator who fails to attend the proceedings of the house or senate for less than one third of the required number of days shall automatically lose his or her seat. “For the first legislative year which ended on 9/6/16 the 7th session of the national assembly did not meet the constitutional requirement. Specifically, due to incessant recesses the House of Representatives sat for only 104 days while the Senate sat for 96 days. “This means that the senate sat for barely 50 percent of the required sitting period. Indeed, some of the senators who had to attend criminal courts where they are standing trial for corrupt practices did not seat for up to 70 days throughout the legislative year. “The Senate was actually shut down on a number of occasions to enable the senate president, Dr. Bukola Saraki to attend the proceedings of the Code of Conduct Tribunal where he is standing trial for false declaration of assets. And in solidarity with him, a number of senators abandoned their duties to accompany him to the Tribunal. “Since the labour policy of “no work no pay” is applicable to all public officers the federal legislators ought not to have been paid when they did not perform any legislative duty.